Sixth Circuit lets Michigan ballot selfie ban take effect. 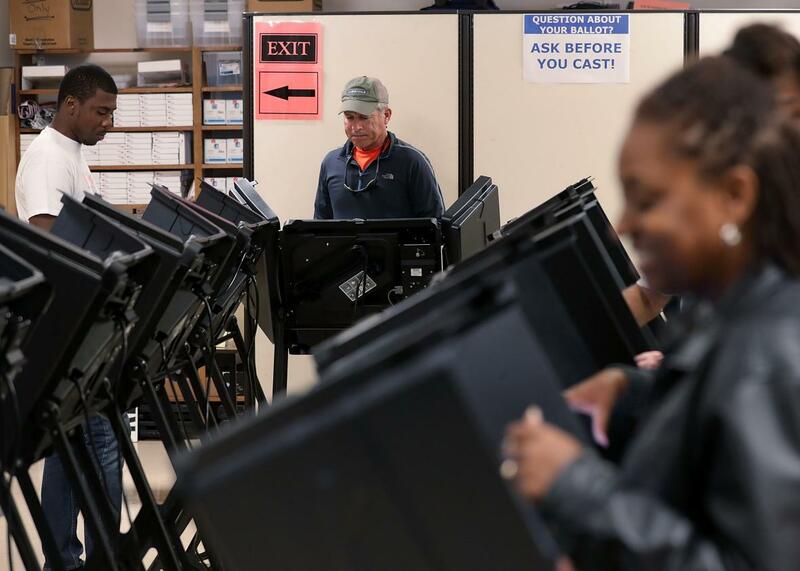 Voting and free speech are both fundamental rights, but Michigan forces voters to choose one or the other. With just ten days before the November 2016 election, however, we will not accept his invitation to suddenly alter Michigan’s venerable voting protocols, especially when he could have filed this lawsuit long ago. Sutton made clear that he’s skeptical of Crookston’s claims. It’s “not clear,” he wrote, “whether a ban on ballot selfies ‘significantly impinges’ Crookston’s First Amendment rights. A picture may be worth a thousand words, but social media users can (and do) post thousands of words about whom they vote for and why.” But he insisted that these issues should be explored after the election, when the district court can hold a hearing and consider evidence on both sides. “Lingering issues remain,” Sutton concluded, and “there will be time for due deliberation” in the coming months. But “even if the state had provided evidence from this century that digital photography at polls has created the problems listed above,” Cole writes the ballot selfie ban “would still be unconstitutional” because it is “not narrowly tailored to the government interests asserted.” The state’s blanket ban on ballot photography constitutes the “path of least resistance”—but states are prohibited from sacrificing “speech for efficiency.” Michigan’s law “curtails the speech rights of all voters, not just those motivated to cast a particular vote for illegal reasons,” a breadth unacceptable under the First Amendment. If the 6th Circuit ultimately affirms Sutton’s tentative conclusions and upholds Michigan’s ballot selfie ban on the merits, it will have placed itself in direct opposition the 1st Circuit, which emphatically invalidated New Hampshire’s nearly identical law as “antithetical to democratic values.” That, in turn, may persuade the Supreme Court to step in and resolve the circuit split. The current court is the most speech-protective in history. And it seems quite likely that the justices will send Sutton’s Friday opinion the way of his anti-marriage equality ruling—into the ash heap of history.